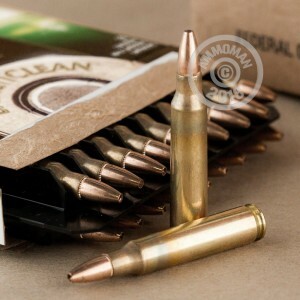 Looking for an eco-friendly, match grade 5.56x45mm round for range training? You have found exactly what you are looking for! 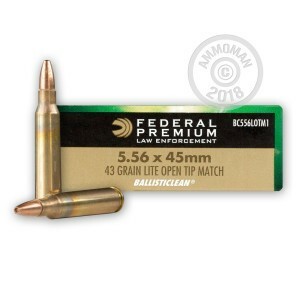 This 5.56x45mm has a 43 grain, open-tip match projectile. It has a muzzle velocity of 3600 feet per second and muzzle energy of 1237 ft. lbs. of force. And to make it even better, it is completely lead free! This match grade ammunition is made for exacting performance and practicing perfection. These rounds will be consistent not only round to round, but between boxes and between lots. When you need uncompromising accuracy, there are only a few options you can choose from, and this is at the top of the list. Each one of these lead-free rounds has a reloadable brass case, is Boxer-primed, and non-corrosive. 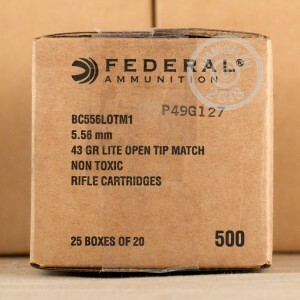 Order your supply of this ammo today, and have fun at the range.